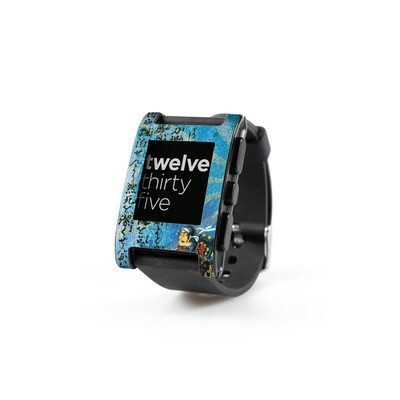 Fits Original Pebble with rubber/silicone bands. Features unique artwork by SANCTUS. 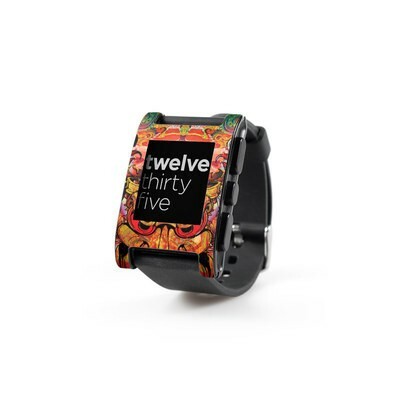 Remember, we offer over 1000 pieces of art as skins for your Pebble Watch. I love this print! It's very whimsical and I love the feathers and the colors used. Very beautiful! Beautiful mix of colors. 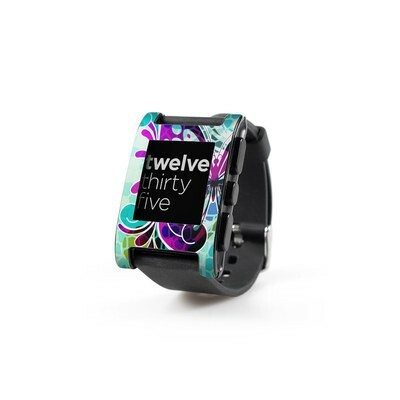 I get a lot of complements on this design. I have had it on for 6 months and still love it.